*This is a sponsored post from OurPact to review their app, but all opinions are my own. It was over a year ago, when I first introduced Confessions’ readers to OurPact, my kids’ iPad addiction and our Frozen Fever, too. Well, I’d like to say that Frozen Fever has lessened, but my girls are still very much fans of Elsa, Anna, Olaf and all of Arendale, so much so that I had to FastPass the new Disney World ride that opens on the first day of summer in Epcot for our upcoming summer Disney World vacation in a few short weeks. But something that has indeed gotten a bit better and more manageable is their iPad and screen time for us, thanks in part to OurPact, which I will talk more about in a bit. However, let’s face it in this day and age there really isn’t any way around our kids using this type of technology, but if, as parents, we can at least have some sort of control over the amount of time spent on mobile devices for our kids. With summer and warmer weather upon us, I couldn’t be happier to re-share more about OurPact here for those who may have missed my previous article on this or those who may have just forgotten, plus some sure-fire tips to help limit screen time for all families to enable making more family memories together minus the screens. 1. Set the example and be the parent. This might the hardest one on the list, especially for someone like myself that works from home and relies on my laptop and iPhone to get so much of my work done daily. But in order to encourage kids to want to focus more on their screen devices, as a parent this starts with us. So, for me, I have vowed for this summer as I did also in the past summers to cut back my own screen time and make sure to schedule time daily during the week to get out and have fun with my kids for the summer only lasts so long and want to make it the best that it can be for us with as many memories to treasure for months and years after, as well. This one is also pretty straight forward and clear-cut. The weather is gorgeous this time of the year to be able to spend a great deal of it outdoors swimming, at the beach, playground playing and so much more. That I want to make sure that my kids have other alternatives to spending all day in doors on their mobile devices. Even on the occasional rainy summer day, I try my best to make sure to have other activities scheduled at home, such as games, reading or even indoor activities, such as signing up for free bowling coupons or even library trips. 3. Be actively involved and listen to your kids. This goes on with setting the example and encouraging other activities to also be present while the kids are engaging in these so-called activities by putting away your smartphone, tablet or more to be not just physically present, but also mentally present by engaging in the activities at hand with your kids when appropriate, as well as listening to their needs and wants, too. 4. Set clear cut usage time for mobile devices. Again, you might not be able to cut the mobile devices out completely from their lives, as well as your own. But this is where you have to set clear cut times of the day, as well as amounts spent on these types of devices, because it is truly worth it to make this is a priority for not just kids, but yourself, too. In setting limits, that is where OurPact comes into play, as this is a parental control application that gives parents the ability to block Internet and Apps at-a-touch or through daily time schedules. Whereas, in the past, OurPact was just for iOS devices, such as iPhones or iPads, now it is available on any device either iOS of Android based. Plus, this new and updated version includes a redesign of their iOS Parent Application as well as the release of our Web App which can be accessed via OurPact.com. However for Android parents, they need to log in via their Android Browser to the Web App for full mobile control, because there is still not technically an OurPact app in the Play Store. Once again, parents either download their iOS App from the App Store or sign up at OurPact.com, where you can set up a parental account, as well. From there a parent will need to pair their child’s device to their OurPact family Dashboard. Pairing takes about 1 minute. After paired, you will see your child in your dashboard and can either set a block or create a schedule. It is really that simple and effective with OurPact being the only parental control solution of its kind, plus it is FREE! So what are you waiting for? Go try OurPact, if you haven’t already and start making some awesome summer memories with your family now! These are great suggestions. As the program director for our after school, we banned “recreational use” of iPads. Kids can use them for homework, but not for anything else, now. And, well, I am aware of my own screen time. Too much. I am looking at them too much. And I’m slightly addicted. Hehe. Love these tips as you know how strongly I feel about screen time!! We don’t allow tablet use in the house only when we are traveling. We have a big bucket of toys and they use those for entertainment! I do know, Nellie and we have quite a few toys here, too. So, most definitely try our best to keep to those when possible, too!! I don’t envy parents today. The screens are so appealing, and I know many children pester parents for more time. A product like this is a great idea… using technology to manage technology! Clear-cut rules (e.g. no iPad on weekdays) work well with children… perhaps difficult to implement in the beginning, but so worthwhile in the long run! I know parenting today adds a whole new layer with the demand for technology use, but am with you completely on the clear-cut rules and try my best with my kids with this daily. I love these!! Especially for summer. Boundaries are so important, thanks! Thank you again, Kathy and I very much agree that boundaries are so very important indeed!! Good for you, Janine. My God I wish more parents did this….have you seen the obesity in kids???? It drives me crazy….I saw a kid the other day laying under a willow tree tapping on his iphone…..is that exercise????? Love the graphic. We actually have increased screen time with my son starting homeschool. LOL. Great post though. Thanks April and can see its benefits though totally for homeschooling. I’m definitely going to check out “our pact” for my 12-year-old, who has some screen time “issues.” Good to know about this!! Those are really all great tips and I’ve never heard of Our Pact but this is something that I actually need. Madison is addicted to her iPad so anything that can help me limit screen time, I’m all for. Will be checking this out in the app store. Glad you can use this and we have the end of this week and one more week next week before summer vacation is upon us here in NY and am happy to be prepared for this now to be honest, too. Spending to much time on IPads, IPhones and computers is a huge problem in this generation. I truly believe that anything we can do to help children learn to set limits on how much they are on their devices is a great thing. Once they get to be older kids and teens it is nearly impossible to set limits for them. I totally agree with you about setting a good example for our kids. Even though I have teens and young adults I will not allow them to have any phones, ect. while at dinner at home or eating out. This includes any family time activity. I checked out OurPact. It seems like a great tool for parents. We had a talk at breakfast this morning about screen time. No one cried at all when I set some restrictions. Now we’ll wait and see what happens when I enforce them! And I really need to be better about my own use in front of them. Ken and I discussed that last night. Rabia, I know I need to be better too and have been trying in more recent times to indeed set that example. I got my fingers crossed for you all though, too!! I use OurPact – it’s awesome. Last summer I didn’t think we needed it. This summer? Yes. Those savvy first graders learn a lot! I know what difference one year makes and definitely am with you in this, too!! Well isn’t that just PERFECT for every parent to use with their kids! I love your suggestions on limiting screen time and this app sounds AWESOME. I keep saying I’m going to use something like iOact, and then I don’t. Is it hard to learn? It’s been hard to limit screen time on the road trip this summer! It is so hard a do hope you can try this on your road trip though, Allie. What a great idea! I have to watch my kids carefully over the summer – get outside and get active! They could waste a whole day lounging on the couch and being on multiple electronic devices. Dana, sounds a lot like my kids, too if I let them. I guess no matter what age still the electronic devices seem to hold some power over them! Bev, I truly agree and our Summer’s sound quite similar with beach going and scaling back, as well. It’s shameful how much time I spend on my devices in front of my kids. I do try to tell them that I’m working, but they’re really too young to understand just yet. That’s why I have dedicated ‘no screen’ times (like dinner time). But there’s always more that can be done. Thanks for the reminder to shut off the devices and make memories together! You are so welcome and also have used the work excuse sadly, too. Being the example is always the hard part. I’m sure I use the computer more than I would ever allow my kids to do, and they know it! Totally guilty here, too and just glad to know it isn’t just me though at the very least. Summer has arrived at last! I know you are as happy as I am for the warm weather and longer days with daylight! In the good old summertime…..enjoy! Janine I LOVE this post and the ideas here. This product looks amazing and I’m so excited to share it too!. Thank you for telling us about it and as a grandparent, I’m thrilled to know about these ideas and tips you have also. Hi Janine, our pact sounds like the perfect app for parents worried about youngsters over doing it on their devices. Summer is for getting out and about and for making memories, not for fighting over too much screen time. All great tips! I can truly relate as I now work from home and most of my time is really spent in front of the computer. I think setting a time frame is really nice and also being involved in other activities with the kids. My son doesn’t have a mobile phone (not planning to get one for him until he’s old enough I guess), but he frequently plays with my phone and his father’s. I know working from home has really contributed to my added screen time, but continually working on that here, as well. This is great! 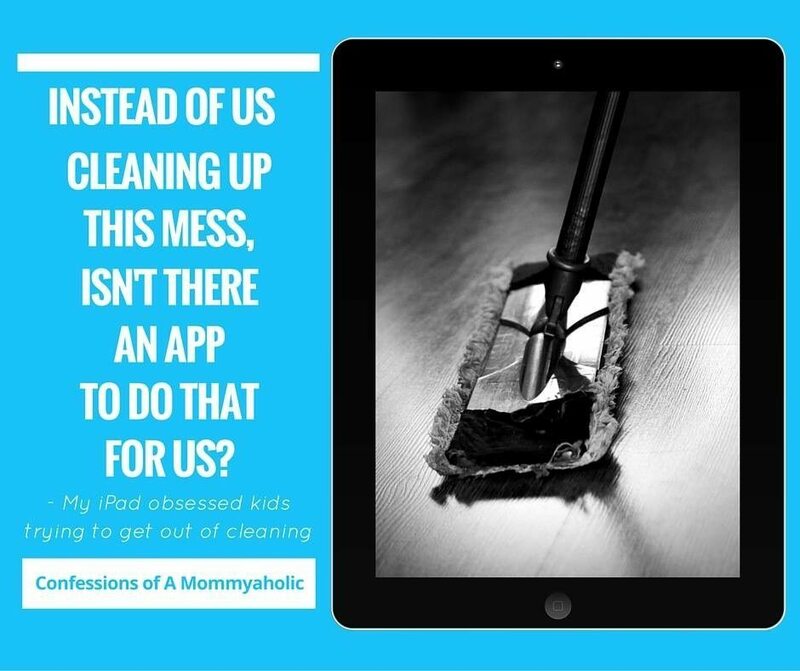 Although my kids are older, I still need to help them develop some boundaries about screen time – and it has to start with me!! I know Leah and same here totally has to start with me, too!! i try to get a good example and do not use any device when i’m with my son. however, he whines about watching thomas the train. he wakes up and asks, “thomas? thomas the train?” so painful because i really don’t want him to be staring at cartoons even if it’s only for a few minutes a day. I know the feeling well and trust me have totally been there with both my girls here, too!! Ugh, my husband is in real estate so cooking dinner is often solo mommy. I try my hardest to keep things around that entertain him but sometimes those little fingers get so close to the frying pan and Mickey Mouse is the only thing that keeps him preoccupied! Great ideas! Number 2 is the most effective and widely used strategy in our home. 🙂 We also have a natural break in iPad use/TV whenever we are on vacation. Everyone in the family avoids using either of those and we just enjoy the time together, making memories!